PreOrder price right now is only 99Cents! The Kasun wolf pack has always been led by a female alpha, but when Willa Kasun’s mother died to give her life, her father stepped in as leader. Now that she’s about to come of age, the pack will once again be led by a female, as it is meant to be. Except Willa hasn’t shifted yet. Less wolf and more cub-dud, Willa has until her next birthday to shift and claim her place as alpha, or she’ll lose it forever. Something her pack mates won’t let her forget. The few supernatural powers that have manifested are her secret and the only hope she has of unleashing her wolf. 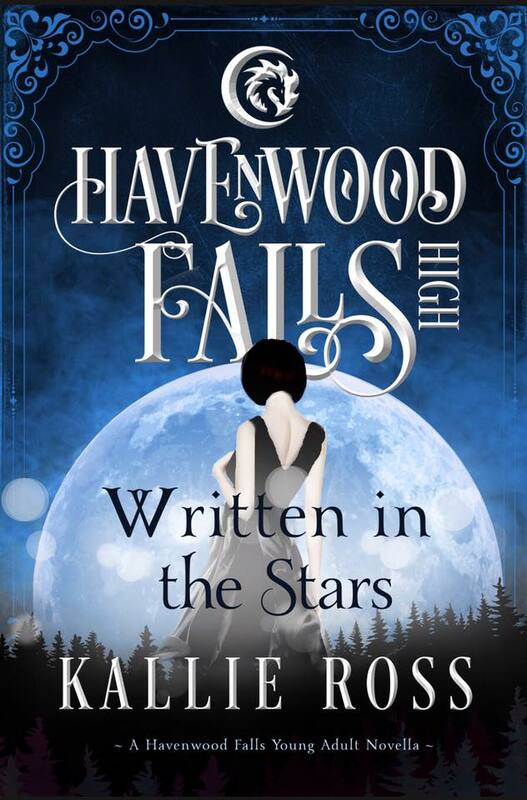 Distractions of life as a junior at Havenwood Falls High provide a needed escape from the pack’s pressure, making Willa feel more like a teenager and less like an alpha every day. Then there’s Tarron Wilde, a sarcastic and striking elf, who makes her wonder if being alpha is really what she wants. Her heart yearns for a reality unfamiliar and feared by her pack, while her mind can’t accept being replaced as alpha. The future of her entire pack relies on Willa’s choice—embrace what was written in the stars so long ago or choose to fight for what her heart desires. Like all young witch hunters in Havenwood Falls, seventeen-year-old Macy Blackstone has been spelled to control her killer instincts. When she’s reawakened too early, though, her world flips upside down. Daughter to the Blackstone witch hunters’ matriarch, Macy should have known what was coming, but her mother hadn’t prepared her. Overwhelmed with the surge of energy from the new moon coupled with a solar eclipse, she’s unable to handle the new sensations, and she flees town. To her surprise, she discovers an entire family branch of witch hunters living nearby. Only, the more she gets to know them, the more she learns about their dark intentions for both the witches and the Blackstones of Havenwood Falls. Gallad Augustine, witch and boyfriend extraordinaire, possesses powerful magic, but Macy took off too soon for him to help her. Now, as her soul mate, his connection to her heart may be the only way for anyone to reach her. Macy has one moon cycle—28 days—to uncover the witch hunters’ plans and return home before the town’s wards wipe her memory permanently and she forgets everything about her family, her home, and her one true love. And if she can’t remember them, she won’t be able to save them. 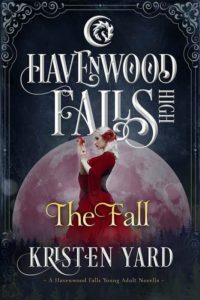 This is a Young Adult paranormal fantasy in the Havenwood Falls High series of Young Adult fantasy stories featuring a variety of supernatural creatures. The series is a collaborative effort by multiple authors. Each book is generally a stand-alone, so you can read them in any order, although some authors will be writing sequels to their own stories. Please be aware when you choose your next read. Seventeen-year-old Serena Alverson is drawn to water. She spends much of her time by the falls, sketching the beauty of life’s sustenance. An introverted “late-bloomer,” she has no interest in a social life aside from her two best friends, Logan and Nikki. She’s never had a serious boyfriend and has rarely left the safety of Havenwood Falls. Serena has big dreams for her future, things she wants for herself after high school—to travel and study the great artists of the world while developing her own craft. To break free from the sleepy little town she outgrew by age eight. But her carefully laid plans fall asunder when she receives a gift from her aunt, a mysterious necklace with the power to sear her skin. With each burn, she questions her sanity. It doesn’t help that an ominous figure starts shadowing her steps. When Mother Nature finally comes knocking, she hands Serena not only her womanhood, but also a wicked lifetime curse with the potential to destroy everything and everyone she loves. For water also has a dark side. Water is birth, water is life . . . water is death.